A bobblehead may prove to be a precious gift for your dear ones with the unique features it bears. Firstly, male head-bobbles and female headbobbles are unconventional and good to look at. Secondly, these articles indirectly convey your message and care. The fun quotient connected with a bobblehead is incomparable to any other contemporary gift. Now-a-days several kind of trendy bobbleheads are available in the market which may also include inspirations and replicas of renowned musicians, famous politicians, sports people, celebrities, writer, actors and other popularly known faces. On the other side, wobblers or a bobbing head doll is a fun wrapped idea to be used as a mimic to a person. That's the idea inherent, when such toys are used as wedding cake toppers to create a unique memorabilia. This is not only a fun filled experience for the bride and the groom, but also generates an amusing time for the people who are attending it. 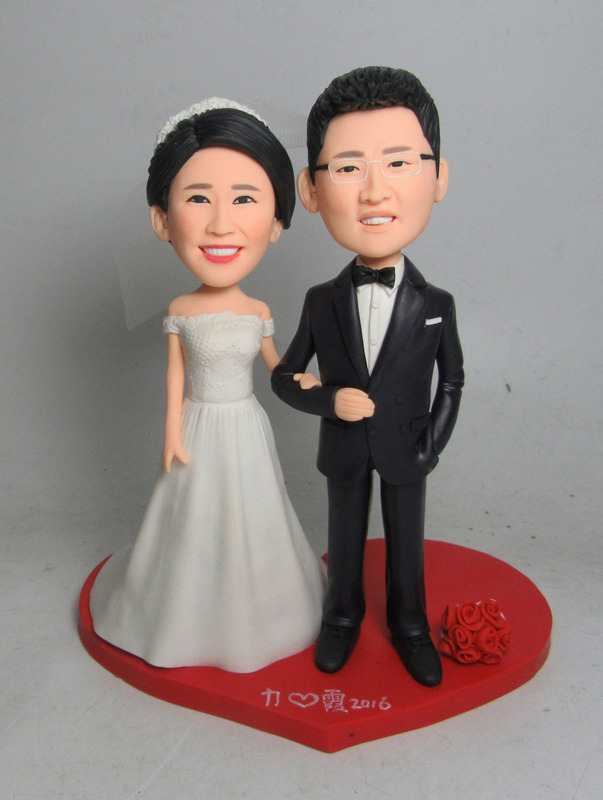 These wedding toppers may be customized and altered according to the taste of the client. The entire bobblehead from the head to the toe including the wedding dress and suit may be given extra picks or tweaks to create the kind of look that is required. They are user friendly and do not cost a fortune too. 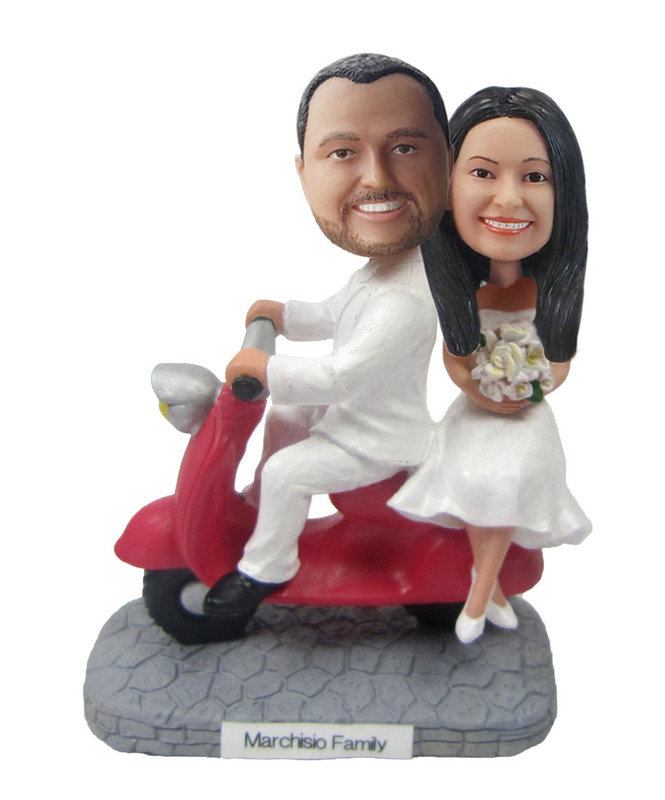 Wedding bobbleheads are also come in ready made forms or in custom shapes and sizes depending on the requirement. 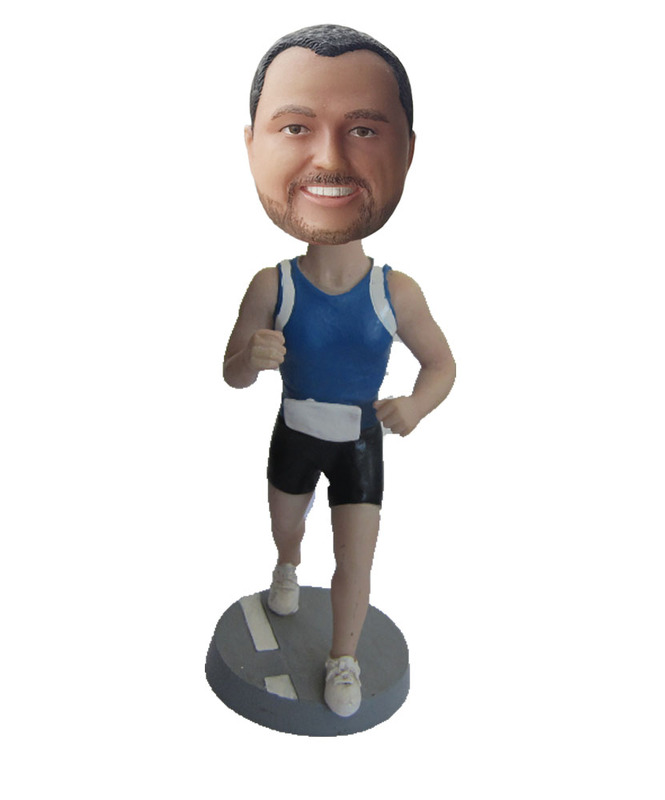 If someone orders for a custom bobble head, he/ she might need to upload the required photo and send it across to the vendor. The designers in turn, will sculpt out 3D figures and transfer the assigned color picture directly into the 3D colored head model. The latest technology of utilizing polyresin and 3D printing material that meets the safety standards are seemed to be followed in the manufacturing process of the same. Currently, many corporates and firms are seen for using this technique in a smart way to handle relations with their customers. 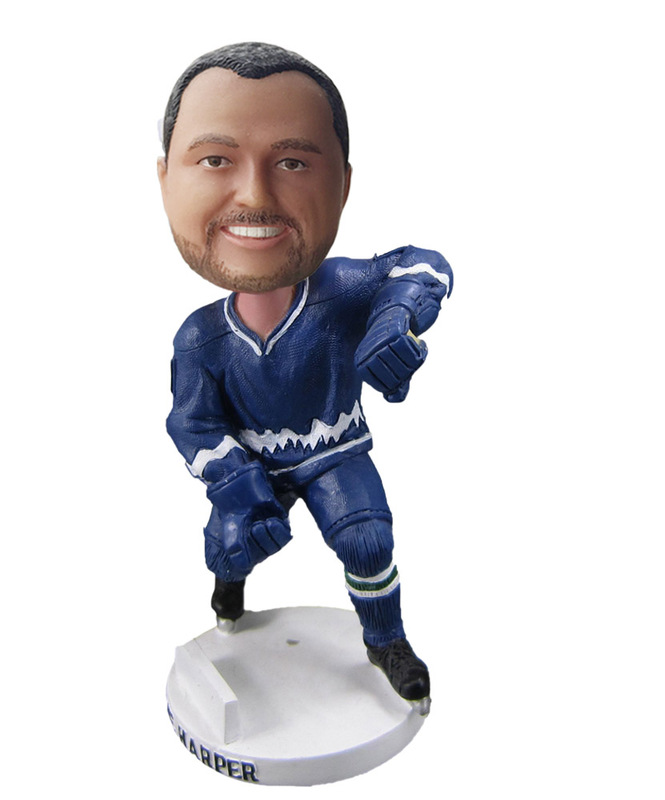 If you were a customer to a particular company, wouldn't you appreciate a gift from them in the form of a bobblehead with your imitation in it? Surely, your answer is yes! However there is still human intervention and technical interpretation between the photo you send, and the file that the machine reads. The results can sometimes be a figurine that looks rather. In order to bring beautiful smile on your friend's face, you should not forget to give motorcycle bobbleheads. In this way, you are able to boost the moment in a distinct style. Contact today to service providers to place an order of this stunning gift for your siblings as well.Personalized wedding bobbleheads are here to stay, that much is clear. Their popularity as wedding cake toppers is unprecedented and they are immensely versatile. We attribute their popularity to the fact that they are so very personal. They speak directly of the person being made, their life, hobbies, things they love or experiences they have shared. The hand made element may not be their most exciting aspect, but it brings a special feeling to the bobble heads, in a time when even greeting cards are digital. It represents time, personal dedication and uniqueness embedded in them.